I can feel it, spring is just around the corner! However, as I write this, over half of the United States is a frozen tundra. 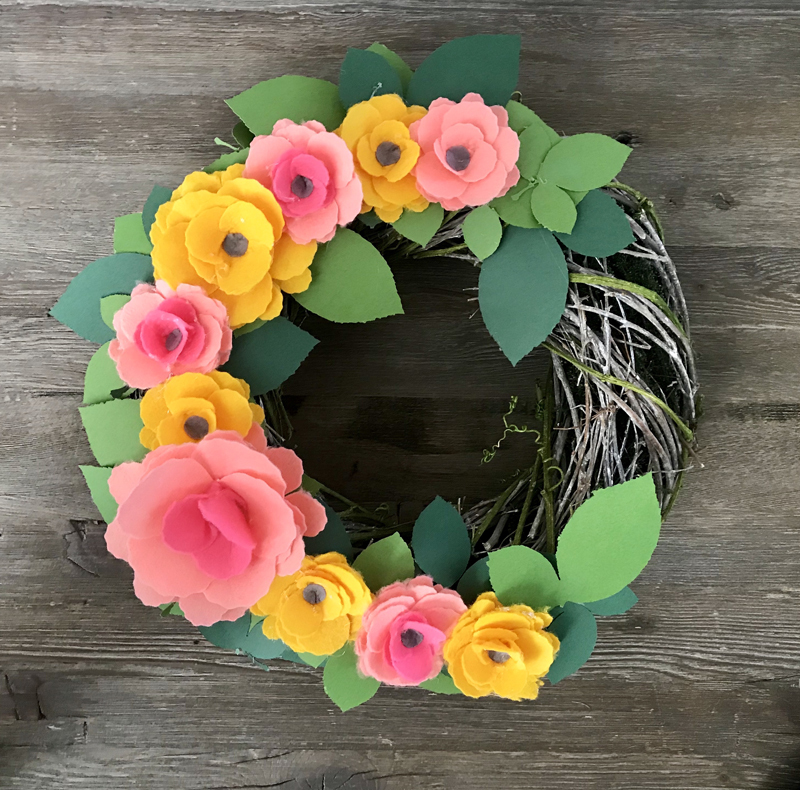 So, to help pass the winter blues I’m sharing a spring-inspired wreath that will help get your spirit (and house) in the mood for spring. 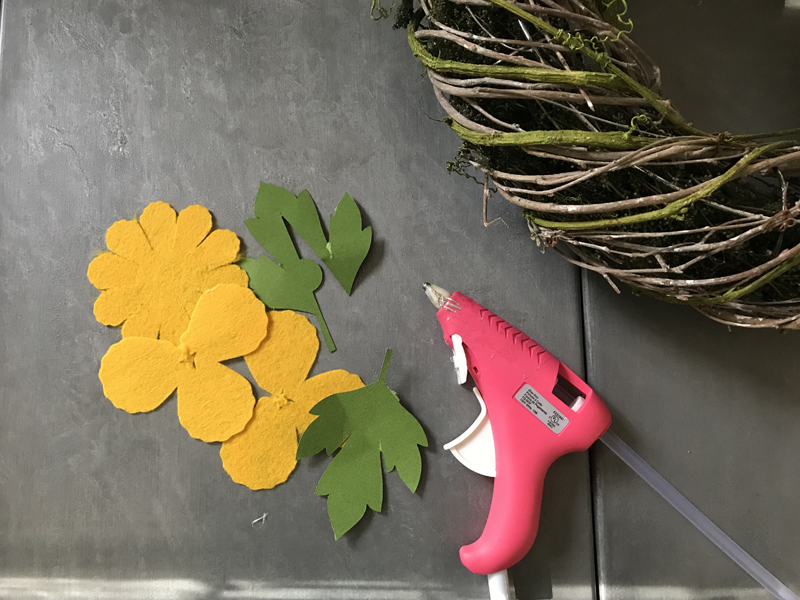 Cut out the felt flowers on your Cricut Maker or Air 2. 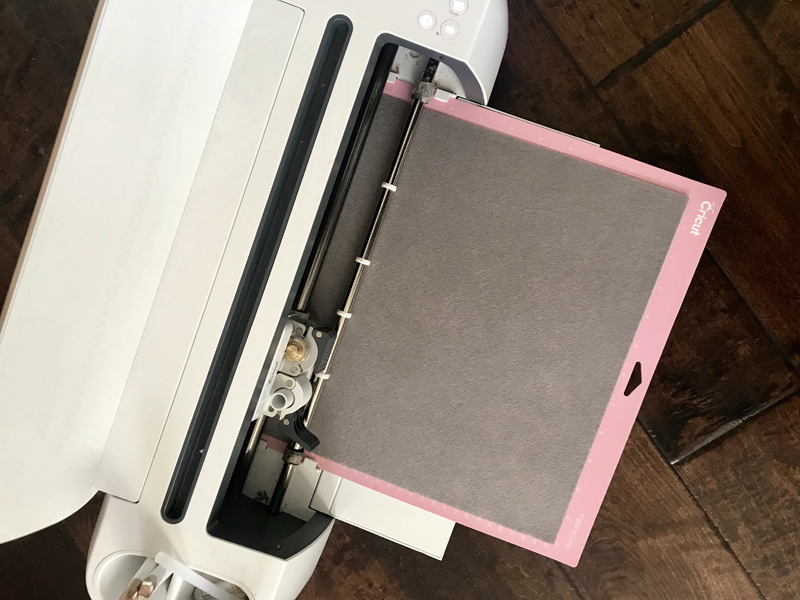 You will want to use the pink Cricut fabric mat. 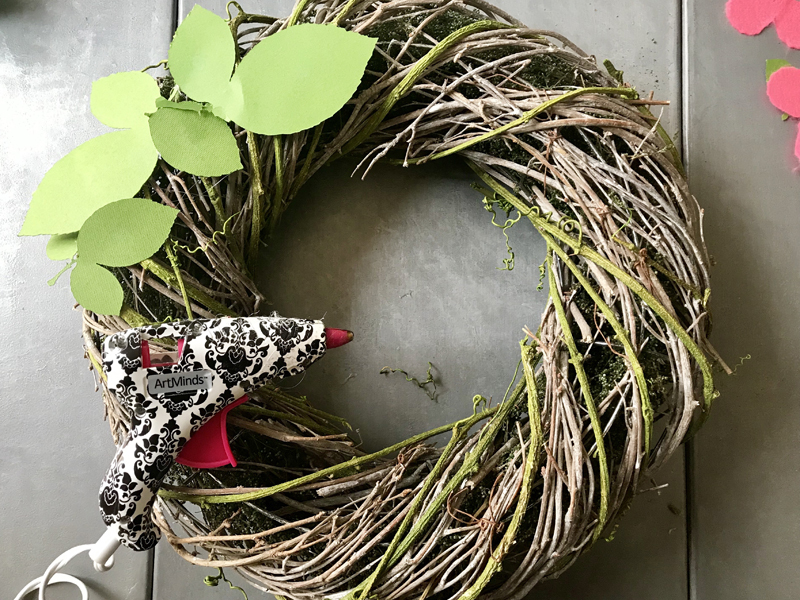 If you use a smaller or larger grapevine wreath, be sure to resize your flowers to best fit your design. NOTE: You can use the Fine Point Blade or the Rotary Blade for this cut. I found the rotary blade works best. 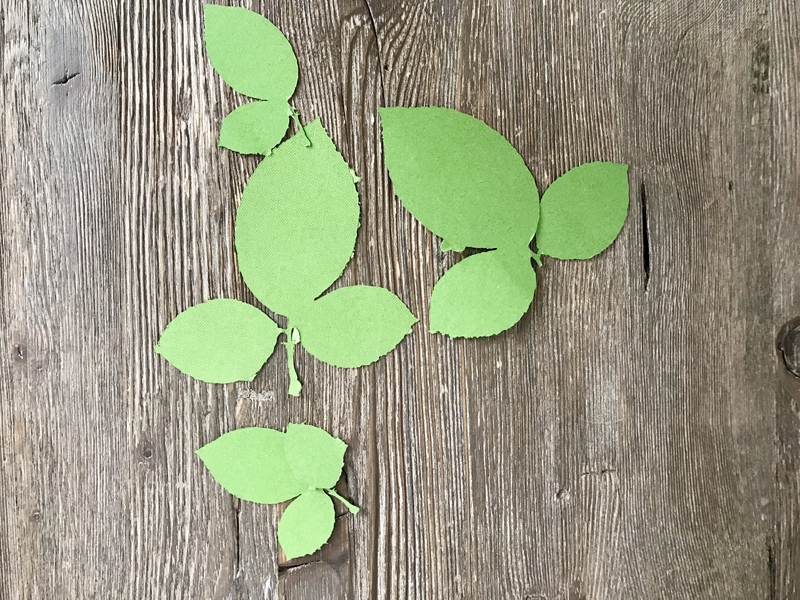 Cut out the paper leaves with your Cricut. Again, if you opt to change the size of the design you will also want to scale your leaves to best proportionally fit your design. 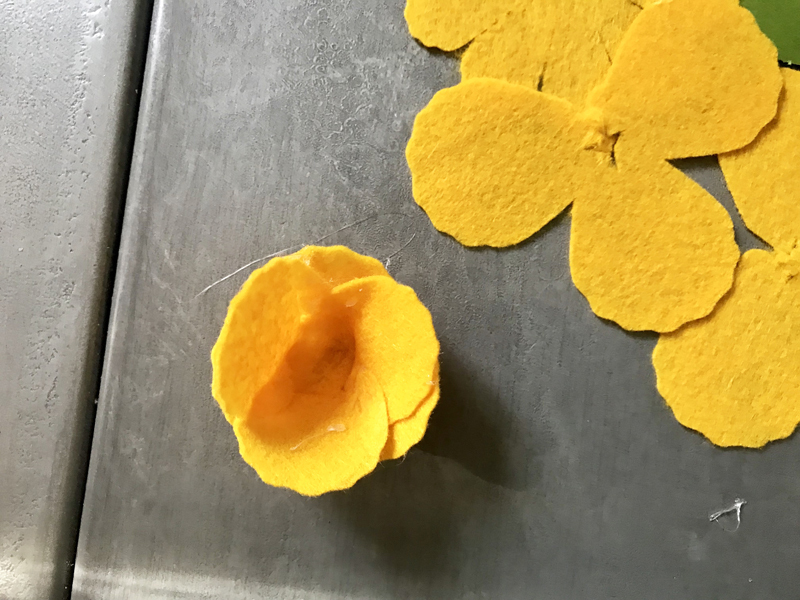 While your leaves are cutting, start to assemble your felt flowers. Each flower has (6) layers. The first four layers have tabs at the bottom. Start by gluing those tabs together on each of the layers using a glue gun and/or glue stick. 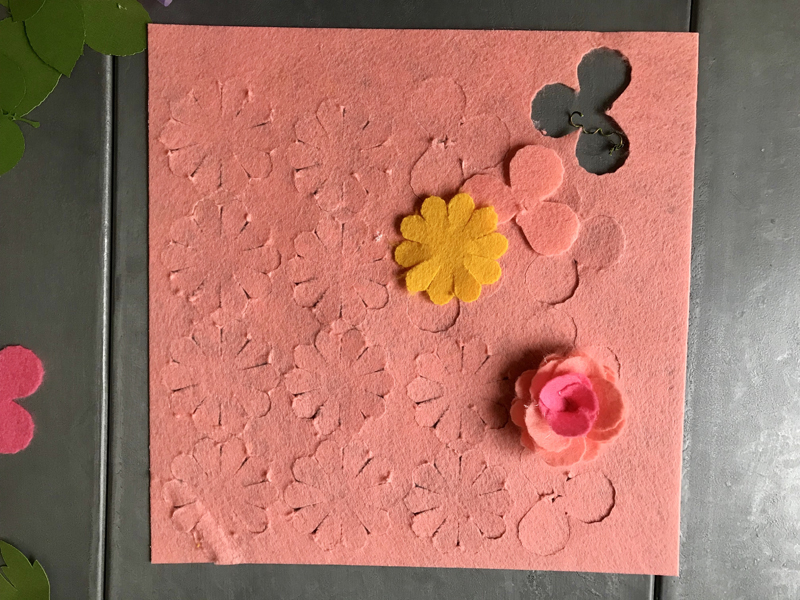 Once the tabs have been glued together and dried, start layering the petals. Layer all (6) flower petals from smallest to largest. Secure them by gluing the layers on top of each other. Once all the petals are in place, glue the center to each flower. Once the flowers have dried be sure to clean up any strings from the glue to keep the flowers looking crisp. Start by gluing the leaves to the grapevine wreath. Use your creativity and place the leaves in spots that best work for your design. Next, start gluing the flowers to the wreath. After all the flowers are on the wreath, fill in extra leaves to add volume to the wreath. The final step is to hang your wreath. 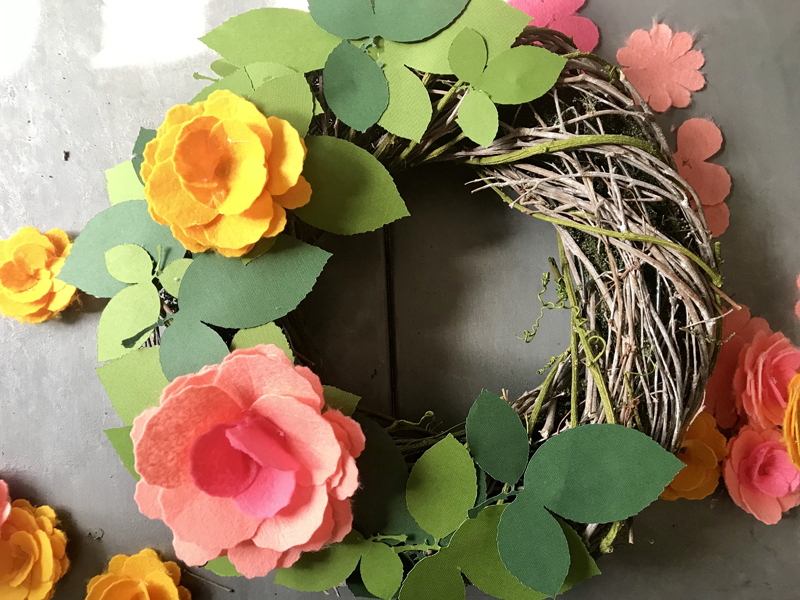 You can hang it on your front door to welcome your guests with some spring cheer or add it to your home decor. Just because spring isn’t officially here yet, do not hesitate to start decorating! I hope this tutorial is helpful! Leave in the comment section if you are making wreaths or other home décor projects. If yes, be sure to share on Cricut’s Facebook or Instagram pages.